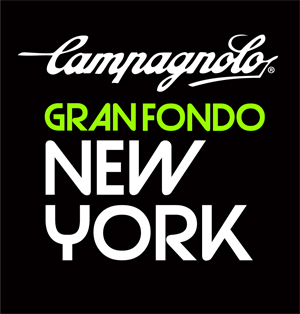 NEW YORK CITY, February 18, 2015 Campagnolo GFNY Vintage presented by Selle San Marco is a new category at the 5th annual Campagnolo Gran Fondo New York on May 17, 2015. It allows riders to experience the GFNY Championship on a classic road racing bike. Participants in the vintage category have to ride bikes that are from 1987 or earlier. These bikes must have frames made from steel, shifters at the down tube, toeclip pedals and low profile rims with at least 32 spokes. 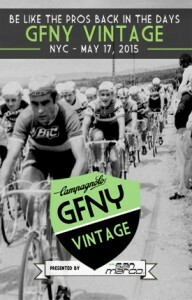 GFNY Vintage riders can either ride 50 or 100 miles at Campagnolo Gran Fondo New York. Participants in the category will be required to wear the official GFNY 2015 race jersey and a modern helmet. Presenting sponsor Selle San Marco will be the jury that chooses the three best vintage bikes at the GFNY Finish Village and award prizes. Both Campagnolo and Selle San Marco, founded in 1933 and 1935 respectively, are at the core of historic as well contemporary road cycling and are as such the ideal partners for this category.